Doctor duck to the rescue. 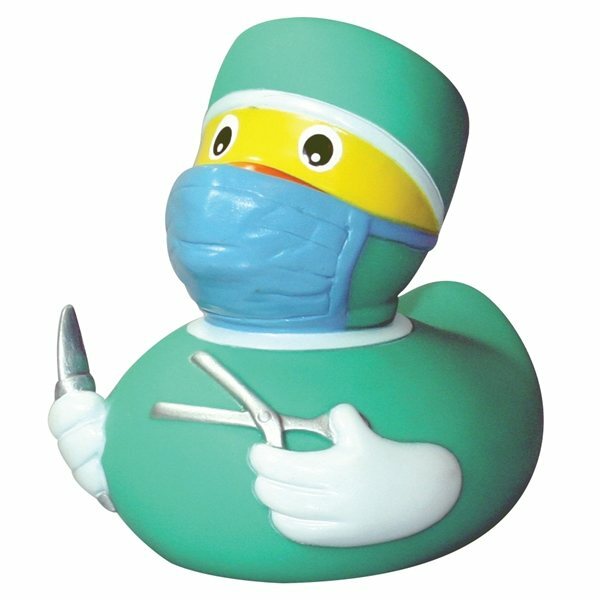 Give this little rubber doctor duck a squeeze and feel the stress melt away. Sure to put a smile on any patients face. Great work!! It took me a while to decide how I really wanted my logo. In the end I am very pleased with the outcome. the overall look is what I liked most and the imprint looks great. They are inexpensive but look like I spent a lot more money. All of my clients loved it. Nice quality product! the final product looked better than the picture in catalog. They came out great! Veronica was great. She responded quickly to my questions. Good artists.